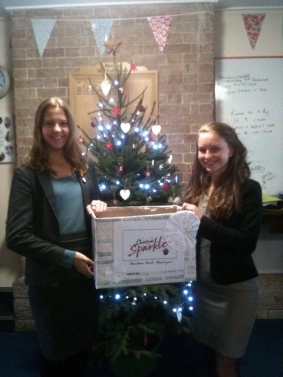 The Christmas Sparkle project would not be possible without the wonderful donations we receive. If you are able to provide a gift, please take it to your nearest collection point (see below) from the 1st November to 13th December. Our team will then collect, process, wrap and distribute the gifts in time for Santa’s arrival. We do ask that all donations are brand new and unwrapped - thank you! If you, or your place of work, club, group or other organisation would like to host a donation point to collect gifts for Christmas Sparkle please email us and we will send you a set of instructions, gift guidelines and posters. If you would like us to phone you please include a telephone number. Details of other donation points to follow. Please use your name as the reference and email us so we can thank you. ALL money donated will be used to buy gifts.